Lock in a great price for Casa MonaLisa PTY – rated 8.4 by recent guests! The staff were all amazing - so friendly and kind! They really went out of their way to make sure I had a pleasant stay. It's also a great place to go as a solo traveler. There were some people just passing through, but most were long-time residents of the property and were happy to give recommendations, help out with cooking, or hang out for a couple drinks on the terrace. Wifi was also excellent! I would definitely recommend this place! Staff at this hostel is really helpful. They gives very detailed information on transportation. The facility is generally clean. And the WiFi is good. Friendly staff and atmosphere. 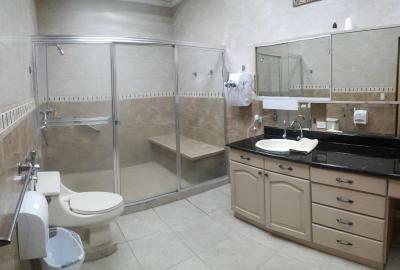 Huge, luxurious bathroom (shared but really clean), was not expecting that! AC is on from like 8 pm to 9 am, but didn't need it other than that anyways. Great place. The other guests were a good crowed, lively and nice to mingle with. The extra large pancakes and fruit was great. Great staff ! Whatever you need they are there to help you out! Very comfortable beds. Delicious pancake for breakfast. Very clean and friendly staff. Nice hostel with very friendly staff and atmosphere. I moved to MonaLisa after having a bad experience at a nearby hostel. Thankfully, my two days at MonaLisa were awesome. The staff was exceptionally friendly and helpful, as well as the other guests. The atmosphere is very relaxed and the Wifi is great. I wish I had stayed there for all four of my nights in Panama City! I would highly recommend it to other travelers. Beautiful hostel, well located in the city center, close to a metro / bus station. The breakfast is good and plentiful. And the staff is nice. Casa MonaLisa PTY This rating is a reflection of how the property compares to the industry standard when it comes to price, facilities and services available. It's based on a self-evaluation by the property. Use this rating to help choose your stay! 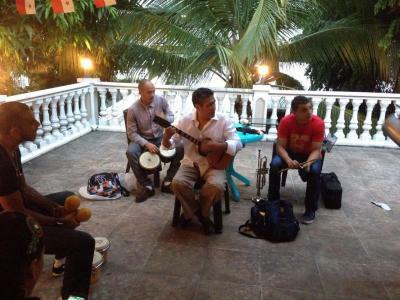 Offering a barbecue and terrace, Casa MonaLisa PTY is set in Panama City, 2.5 mi from Metropolitan National Park. Casa MonaLisa PTY features free WiFi throughout the property and shared bathrooms. 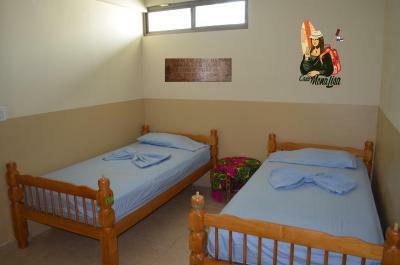 There are standard rooms as well as dormitory rooms. You can play table tennis at the bed and breakfast. Canal Museum of Panama is 2.1 mi from Casa MonaLisa PTY, while Presidential Palace is 2.1 mi away. 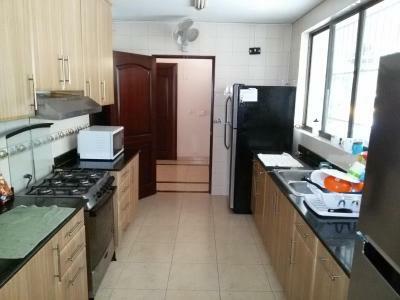 뀐 Located in the real heart of Panama City, this property has an excellent location score of 8.4! When would you like to stay at Casa MonaLisa PTY? House Rules Casa MonaLisa PTY takes special requests – add in the next step! Casa MonaLisa PTY accepts these cards and reserves the right to temporarily hold an amount prior to arrival. The beds are in poor condition. Slats of wood fell on me during the night. And I found 4 under my bed! It is very hot when it has air conditioning is not turned on in the room. You should think about putting tea at breakfast for those who do not like coffee. The dormitorirs are divided according to nationalities. Shame on them. Breakfast was great. Staff amazing. Apparently breakfast is only included from monday to thursday, but the price stays the same. Private room is basically a tiny „room“ in room seperated by open walls. Shared barthrooms could be cleaner. I stayed there on a saturday and It was extremely loud at night because of a bar right next door. The location on Google map and Maps.Me is not correct!!! No hot shower. The AC is only on during the night and the reception does all the control. You don't get to use the remote at all. We booked the 12-bed dorm, but it was actually a combination of 2 6-bed rooms so it was very spacious and not too crowded! :) Nicely equipped, clean environment, and there was a really fine public space. A bit hard to find, not so close to sights. Staff doesn't speak english. Breakfasts could be a bit more diverse (there were only pancakes and toast and bananas; there could be more sorts of fruits since we are in tropical atmosphere). AC is rather loud. The place had a couple of quirks I wasn't expecting (no soap, kitchen had specific hours), but all the important stuff was good! The room where I stayed had no windows and was dark so I couldn't really feel comfortable. You couldn't control the A/C yourself because they removed the remote from the room when they put it on at night and it was way too cold. The hostel was clean. The beds were comfortable. The neighbourhood seemed to be safe.